Looking for the latest adoptable animals and upcoming events? Please LIKE our Facebook page and check back often for the latest news. I adopted my beautiful Lab 6 years ago and the joy she has brought us is unimaginable. I found that she was always happy for a return visit which tells me how well she was cared for. She was shy in the beginning, but I have added four grandchildren and she loves each one. The excitement when they visit is wonderful to see. My experience with this wonderful group is beyond explanation. Thank you! I will forever be grateful to Wallingford Animal Control for rescuing Loki and letting us give him a forever home. 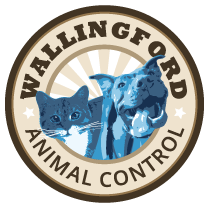 Wallingford Animal Control is proud to serve the residents of Wallingford, Connecticut. In addition to our responsibilities as animal control officers, we also maintain the animal shelter, and care for the animals temporarily housed there.